The town of Bansko is situated in the most beautiful and majestic part of Pirin mountain. To the south of Bansko is the National Park of Pirin, rich in lakes, mineral springs, water falls, caves, centuries old trees and historically distinctive sites. The area of Bansko has been consecutively populated by different peoples: Thracians, Romans, Byzantines, Slavs. Remains of ancient fortresses 4 km to the southwest of Bansko, Thracian tumuli in the vicinity of Staroto Gradishte, remains of late medieval churches St. George, St. Elias, and remains of medieval settlements to the northwest of the town attest to the antiquity and the uniqueness of the town. 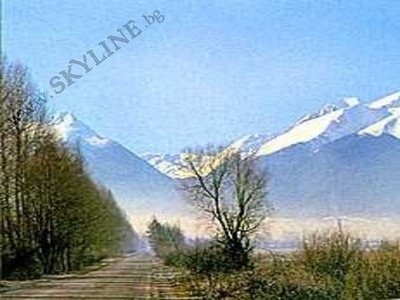 As a settlement Bansko exists since the late 9.century under the name Baniska. Up to the 18.century the people of Bansko were mainly stockbreeder and craftsmen, who not only produced but also exported their goods abroad and imported others. In the early 19.century Bansko grew up to an important industrial and commercial centre with offices in Vienna, London and Budapest. People's standard of living improved: they started building bigger, fortress-like houses. Bansko is famous for its well-preserved Revival-period architecture – 2storeyed stone houses with long wooden eaves, massive gates and spacious rooms. Rooms were usually painted with pictures and ceilings decorated with woodcarvings. Today Bansko is a favored ski resort with lots of hotels and entertainment facilities, the forth ski centre in Bulgaria and the town with the highest dynamic in private investments.